Pat Krimson aka Patrick Claesen. 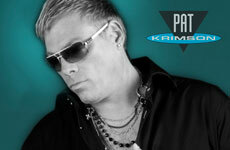 In the 90s, Pat was the driving force behind successful bands such as Leopold 3 and keyboard player for Praga Khan. Being a true pioneer in ‘Dance’ he was the number one hit maker with 2Fabiola, Zohra and Nunca. As DJ/Producer together with Oliver Adams he scored many club hits like Taboo Bells, Paranoid In Moscow & House Of Doom. On top of that, Pat was the creator and inspiration for the legendary club concept ‘AtmoZ’ with locations in both Hasselt and Turnhout, and the record label Dance Opera. Come 2000, with 25 hit records, Gouden Ogen and TMF Awards, Pat retired on Ibiza. Having resided on the party-island for 8 years, keeping himself busy with Ibizen Brainwaves (Wellness) and Music Journalism, the music virus jumped up and bit him, once again. Back In Belgium, 2008, with his band 2Fabiola, Pat was part of the foundation on which the success for the 90s revival was built. Being headliner at I Love The 90s in Hasselt’s Ethias Arena, Pat & Co. starred with an outstanding performance before more than 24.000 partying people. An absolute indoor record in Belgium. 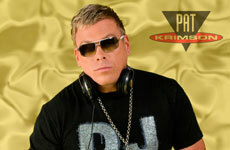 Besides 2 Fabiola, Pat performs as a DJ every week somewhere in the Benelux. Mixing retro house classics with fresh new club hits, he is known to be the sure shot to blow the roof off. 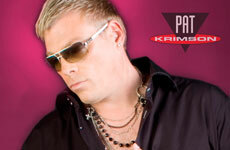 Pat Krimson remains to be a respected name in the DJ-circuit. Pat toured from Tokyo to Moskou and showed up at all big summer festivals like Tomorrowland 2009, Decibel NL, Gentse Feesten and Neverland, to name but a few.